Alright, it’s story time! Since the beginning of the new year, I have been participating in a month long running challenge with a virtual group of runners called the Chilton Running Club. It’s a charity club of Gilmore Girls fans who really love to run. They put on virtual running events throughout the year and award medals for people who participate in each run, all while raising money for charity (there are Harry Potter and Doctor Who running clubs too). I love the idea behind these groups and I joined CRC when they first banded last year. However, I hadn’t participated in either of their first two events, because, well, I was just too lazy. Hello, my name is Ciara and I am a lethargic 24 year old. When I say lethargic, I mean lethargic. It’s bad and it’s overtaken my life the past year. I’m working on changing this, though, and when I saw that CRC was putting on a running challenge for January, I felt the need to finally join in. The goal is to run a set number of miles per week throughout the month, and I’ve been doing really well at hitting my goal of 7 miles a week. I was so proud of myself the first week that I decided I earned a little celebratory treat. So when Amanda, Mike’s brother’s girlfriend, suggested we eat at Nekter after one of our workouts, I felt like this was the perfect reward. 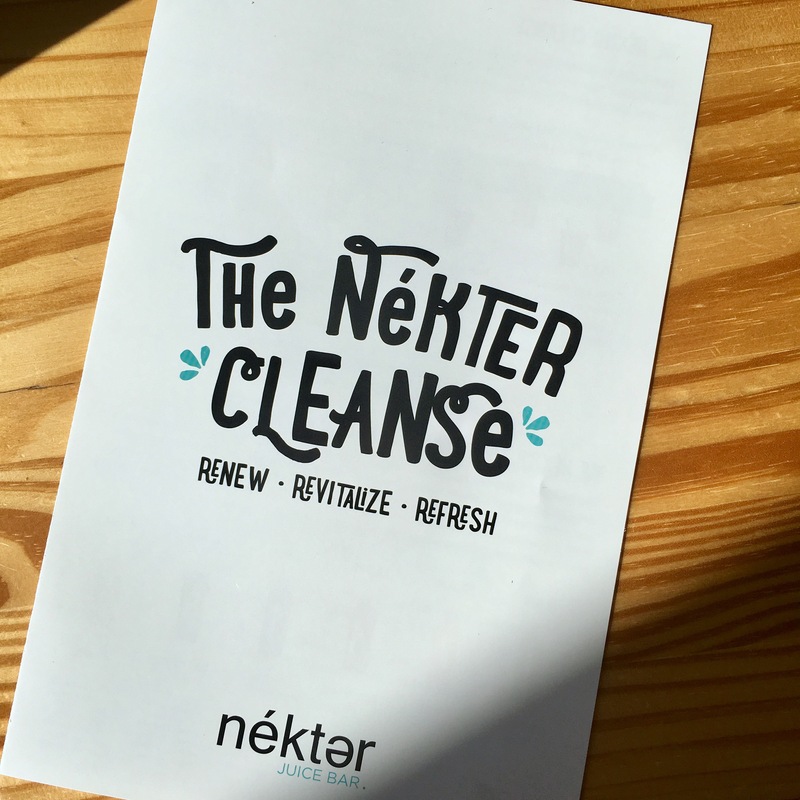 You may not be too familiar with Nekter Juice Bar, but you probably know a bit about it if you’ve been around someone going through one of their juice cleanses. 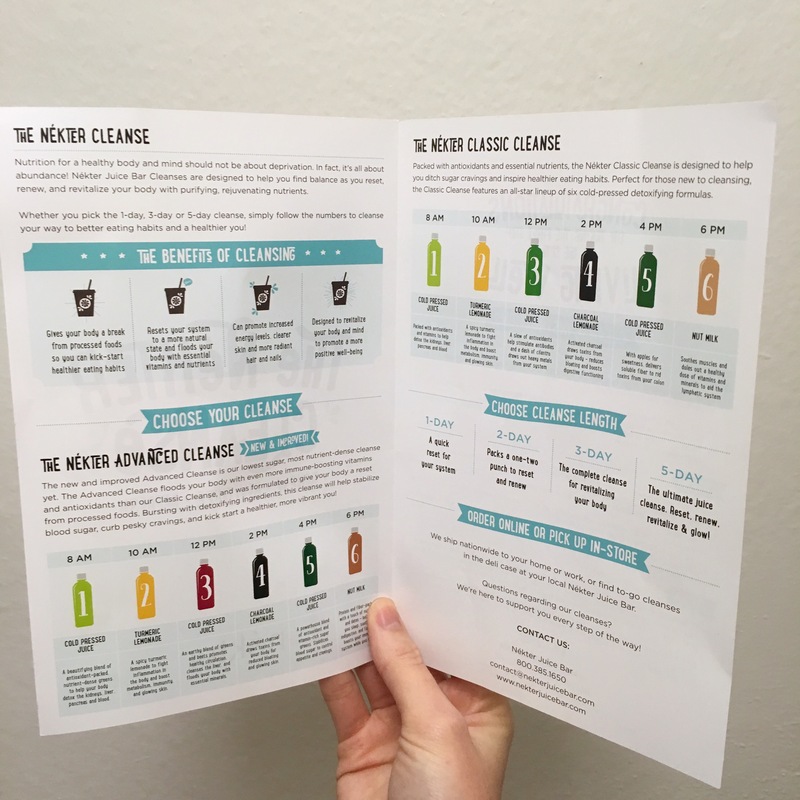 Trust me, someone going through a 3 day cleanse will let you know about it—from what I’ve heard, it can be a rough experience, but the benefits by the end are supposed to justify the means. I’ve been debating going through a juice cleanse myself, so the first thing I did when we got to Nekter was purchase a juice so I could see if I even had a shot at drinking 6 of them a day for 3 days. After looking at the ingredients of the bottled juices available for purchase, I went with the Classics Greens (pineapple, orange, cucumber, cilantro, spinach and kale). And surprisingly, I loved it! I’ve had one other since then, Superfood Protein (filtered water, raw almonds, dates, nutmeg, cinnamon, and vanilla bean), and I prefer the former over the latter, which was a bit too chalky for my taste. Nekter is all about promoting a healthy lifestyle that makes you feel good through food that tastes good. And let me tell you—their acai bowls taste gooood. I was so hooked after my first visit that I’ve been two more times since the first week of the month and I purchased an acai bowl each time. My favorite bowl is the Acai Peanut Butter bowl, minus the dates, but I also tried the Acai Superfood bowl and liked it well enough. The peanut butter adds a creamier texture that I just cannot stay away from, but if you like your bowls with more of an icy texture, then you’ll love the other options. And here is where my post takes a sad turn. 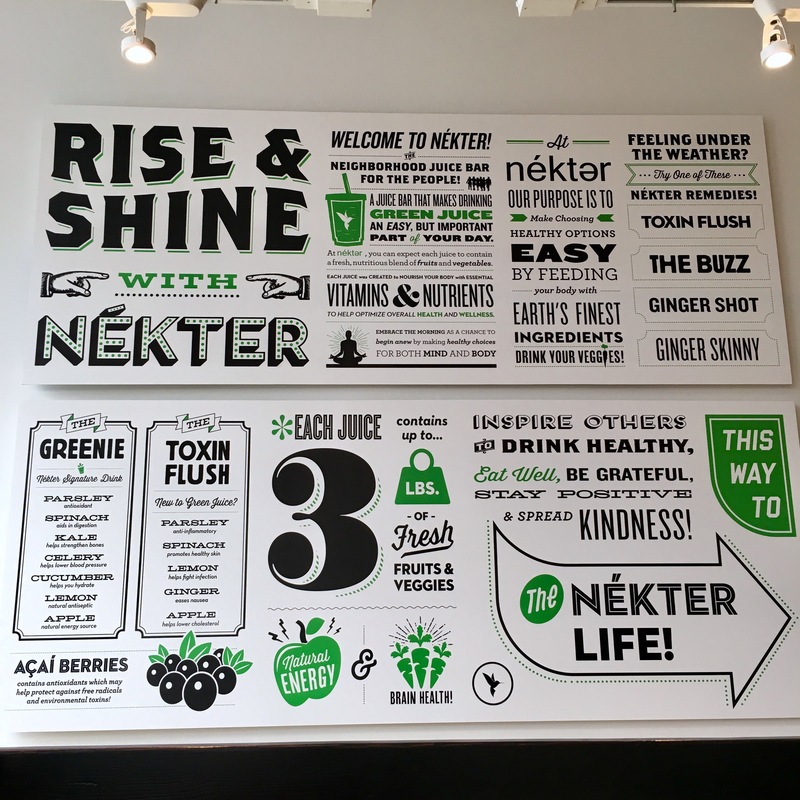 Despite my new-found love for Nekter Juice Bar, I am officially giving it up. Yep, after the last three visits I have decided not to continue going to Nekter any longer. I’ve always had a problem with bloating. My body will take any bit of food and drink and latch onto it for dear life. Maybe this has something to do with my inability to drink enough water during the day, but I suspect I also have some sort of digestion issue, too. Throughout the last two weeks, not only have I been experiencing more bloating than normal, but I’ve also been experiencing intense abdominal pain. It’s made my days nearly impossible to get through as normal, and after trying to figure out what part of my diet could be causing it, I came to a realization—the only change in my diet has been Nekter. Crap. I’m not sure whether it’s the acai, the agave nectar, the cashew milk, or a combination of all ingredients, but after I’ve devoured an acai bowl my day is ruined by feeling downright terrible. I couldn’t stand up straight, I couldn’t use the bathroom, I couldn’t eat, and I couldn’t fit into my jeans because of how bloated I was. The realization that I would have to give up my newly discovered love for Nekter was a really sad moment, but I’d much rather take feeling better, and regular (wink wink), over feeling awful from something I’d been doing fine without until now. And despite my troubles, I wouldn’t even pass on recommending Nekter Juice Bar to family, friends, and strangers. Just because my body didn’t take too well to their menu, doesn’t mean that it will have the same effect on everyone. My only advice would be to proceed with caution. And maybe make sure that you leave some room between visits; three times in two weeks is probably not the best way to start out. It’s important that we are always aware of our food allergies and which foods are doing more harm than good on our digestive system. I’m still undecided on whether I’ll do the juice cleanse or not, but for now I’m focusing on cleansing my body each day with enough water intake. And since I don’t plan on quitting the CRC running challenge anytime soon, I’ll have to come up with a new reward system that works for my body and keeps me motivated. Maybe I’ll go with froyo next time or something that doesn’t involve food, like a new book from the bookstore. Whatever it is, my goal is to make sure I keep lethargy at bay. Here’s to a healthier lifestyle for 2017!